These are seasonal, endorheic (all the water comes from collected rains); deep, sweet and with few nutrients lagoons. They are Grande Lagoon, Chica Lagoon and small ponds, located below Sierra de Ayllón, at 950 m. of altitude, in the Region of Campiña Alta de Guadalajara, in the municipality of Puebla de Beleña. 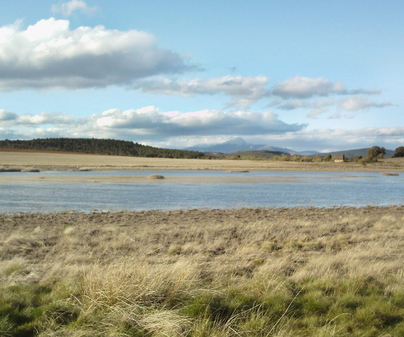 This is an area of spring passage and migratory concentration of cranes and aquatic birds of first order in Spain. The two trails that start from the parking lot, with a simple route of less than 5 km, and with bird observatories throughout, are the ideal place to enjoy the plumage, the movements and to get the most out of your camera. This lagoon is a traditional annual stop zone for hundreds of cranes that from mid-February to mid-March find shelter and food in it. 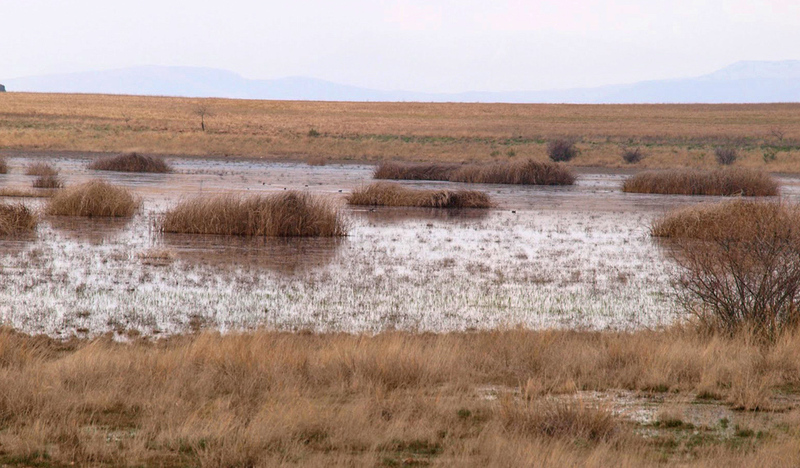 Other species that emerge in these lagoons during the migration are the purple heron, white stork, black stork, common spoonbill, garganey, red-crested pochard, little ringed plover, whimbrel, Eurasian curlew and otherAnatidaespecies. 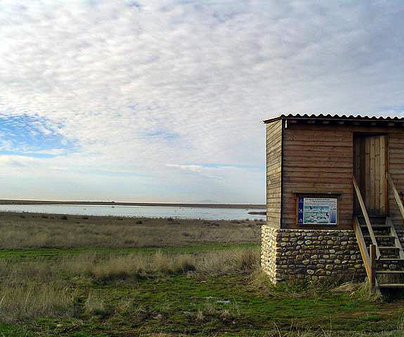 The hiking itinerary to visit the lagoons is practically plain and has a total length of 3,600 m. (round-trip). The total time of the visit to the two lagoons is estimated in one hour, plus stops. The route starts from the parking lot next to the K15 from the road from Uceda to Puebla de Beleña (CM-1001), at the junction with the road to Robledillo de Mohernando. Here the vehicle is parked to continue on foot along the cattle road until you reach a crossroads of 500 m. from the parking lot. From the junction, take the road that leaves to the left, which leads, after 400 m, to the bird observatory of Laguna Grande. There, there are descriptive panels of the fauna, flora and vegetation of these lagoons. Returning along the same road to the previous crossing, take the detour to the left, to continue along the path that runs along the cattle path at the beginning of the tour. Route’s about 900 m. You reach the observatory of Laguna Chica, avoiding the excessive approach to its shore so as not to disturb the birds, especially during the nesting period. Access is free. From Guadalajara take the road to Humanes and then the CM-1004. Without entering Puebla De Beleña, continue on the CM-1001 to Uceda. At 3 kilometers you will see the entrance, signaled by a sign. More information on the Town Hall telephone number: (+34) 949858369. From mid-February to mid-March it takes place the migratory concentration period of the crane. If you are more interested in the lagoon, in spring and autumn it will be more active thanks to the rain. Do not forget the camera to photograph the cranes! And if you have children, do not hesitate to take them with you.